Professor Rajkumar Roy takes up his appointment on February 1st 2019. 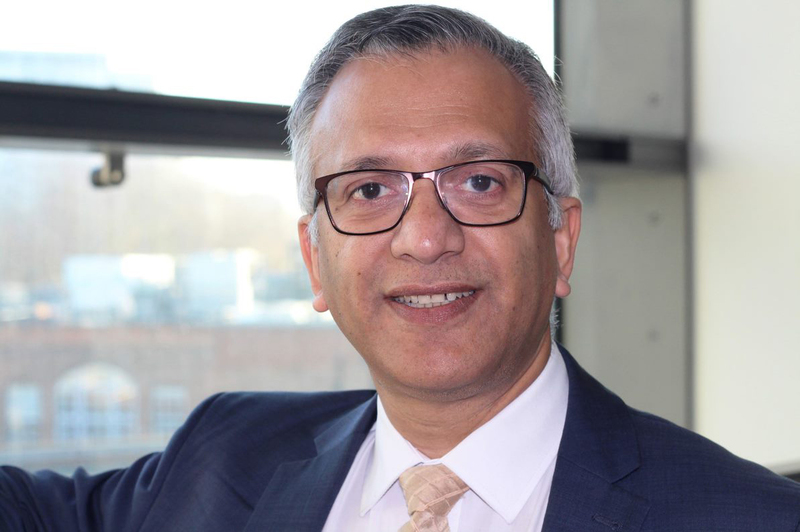 City, University of London has appointed Professor Rajkumar Roy as its new Dean in the School of Mathematics, Computer Science & Engineering (MCSE). Joining City from Cranfield University, where he was Director of Manufacturing, Professor Roy takes up his appointment on February 1st 2019. He is keen to cement further linkages between City and major enterprises within the UK and wider international Science, Technology, Engineering and Mathematics (STEM) fields. "I am delighted to welcome Raj as Dean of our School of Mathematics, Computer Science and Engineering. He brings a formidable combination of research excellence, successful enterprise collaboration and visionary higher education leadership to his new role. I look forward to working with him as he implements what is a very ambitious and exciting strategic plan for the School." Professor Roy holds a PhD in Computing from the University of Plymouth (UK) and BEng and MEng degrees in Production Engineering from Jadavpur University in India. He started his career as an engineer at Tata Motors; pioneered research in Through-life Engineering Services (TES) with Rolls-Royce, BAE Systems, Bombardier Transportation, the Ministry of Defence and Babcock International; and established an internationally known TES Centre. Professor Roy is passionate about raising City’s profile as a London-based Global University producing technologists and researchers who can solve the pressing issues of rapidly expanding and increasingly interconnected global cities. I am very pleased to be joining the School of Mathematics, Computer Science and Engineering and leading it through a time of tremendous opportunity. I am impressed with the high level of scholarship, creativity and innovation I have seen in the School, and I look forward to building on the gains made by MCSE in the areas of enterprise collaboration and internationalisation. Professor Roy’s cost engineering and obsolescence research has transformed contemporary understanding of the engineering effort required to design, make and support high-value products, resulting in tools used by BAE Systems, Airbus, the Ministry of Defence, Rolls-Royce, and Ford Motor Company. At Cranfield, Professor Roy also developed the Centre for Competitive Creative Design (C4D), a Level 7 Apprenticeship (Masters-level) programme for BAE Systems, a National Manufacturing Debate and a National Symposium on ‘Excellence in Postgraduate Education – Manufacturing, Materials and Design’. He is a Founding Editor-in-Chief of the Elsevier Applied Soft Computing journal and a Fellow of the CIRP (International Academy for Production Engineers), the Institute of Engineering Designers (IED), and the Higher Education Academy (HEA).